The hybrid cloud has become a popular tool for thousands of companies that require different cloud solutions for different tasks. 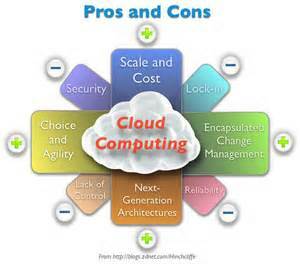 This type of cloud solution makes use of both public and private cloud for one organization. This means a company can use the public cloud for simple tasks such as their emails, yet use the private cloud for other projects, such as customer information, payment information and more. There are a host of benefits to making use of hybrid cloud within your organization to help you achieve the best end results, improve productivity and ensure the highest level of customer service and support at all times. The first and probably the most important benefit of the hybrid cloud is the price. This solution is highly cost effective and can help save customer thousands in the long run. Rather than paying high prices for various pieces for equipment, you get all your processing power and storage in one place making use of a variety of platforms, which are safe and secure, putting your mind at complete ease. Another benefit which cannot be ignored is that the hybrid cloud improves data recovery after a disaster. Almost every single company these days rely on the computer to perform daily functions. Your customer information, order history, current orders, deliveries and invoicing is all stored on the computer. In the event of a computer crash, you could lose everything, which leaves you unable to contact clients, unable to invoice for current projects and unsure which orders have been fulfilled and which are still to be dispatched. As you can imagine, companies have lost customers along with thousands of potential income due to their computers crashing and losing everything. With the hybrid cloud all your data is stored off site and is easily accessible from anywhere at any time. You simply log into the system to access your data. Even if you prefer storing on your office computer and backing up every hour or two, the worst thing you will lose in the event of a disaster is a couple of hours work, which can easily be made back. Further you will find that the hybrid cloud is very flexible and can be customized to meet your unique company data needs and requirements. While you may only need to start with a small amount of compute and storage space, as your business grows, you will need more space. The cloud is completely flexible, so as you grow you can purchase more processing power. This also helps you budget accordingly and reduces the risk of you running out of money or space at any time. With the hybrid cloud, because of the flexibility you can start small at a price you can afford and as you expand and grow you can increase your process and storage space, still staying within the price you can afford. In addition to this, you will find that the hybrid cloud is very secure. This is one major concern many business owners have. When you have a large team all accessing data, you need to ensure that they can only access the data they are allowed to. You don’t want your sales representatives accessing your bank statements and financial information. Everyone gets their own log in information and you can set security protocols to ensure that anyone accessing information has a right to do so. The final thing you need to know about this product is that it is convenient, it can save you money in the long run and it’s affordable. Choose a provider wisely, a company with years of knowledge and experience in the industry combined with an outstanding reputation. Data Center and Colocation is a quality data center colocation and hybrid cloud solutions provider headquartered in San Diego in the United States. This well-established company offers over twenty five years of industry knowledge and experience providing customers with consultation services that they can rely on and trust. The company offers a free consultation service, representing three thousand colocation data centers throughout the country and offering non-bias representation for their clients at all times. Data Center and Colocation works with leading medium and large enterprises where they assess company’s data requirements, identify low cost space, compare prices and make recommendations whether they are looking for data recovery sites or primary sites. To find out more, visit http://www.datacenterandcolocation.com. May we suggest the following Amazon products for your consideration?